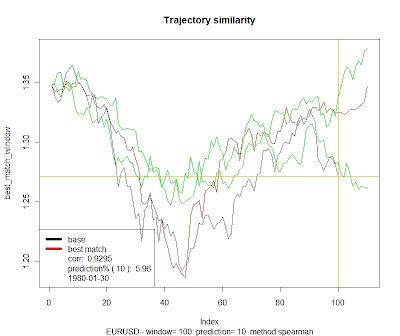 Another test of correlation-based matching of trajectories. 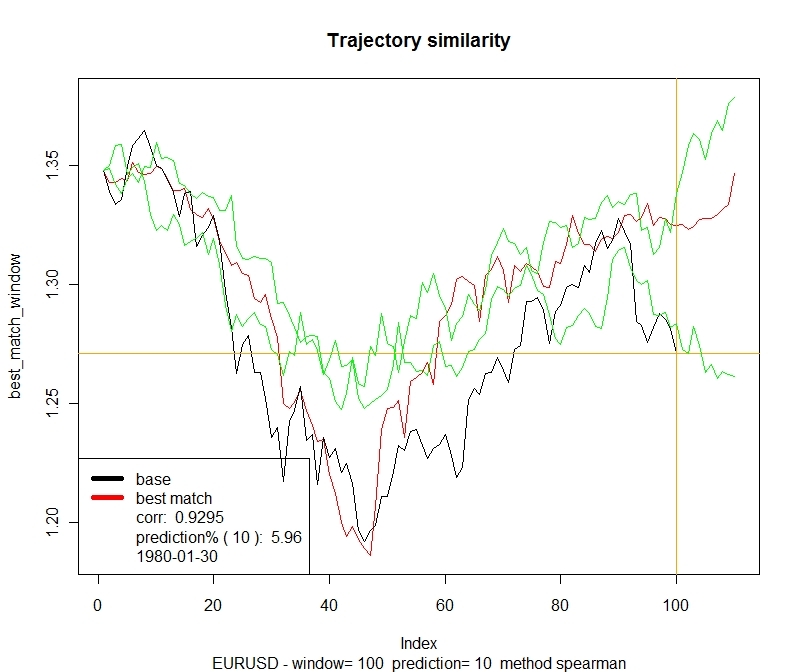 This time EURUSD. In addition to the best match, two second best correlation matches were added (green lines). Even though, based on the best correlation match (and one of the others) you might expect pretty significant growth, one of the presented second best matches suggests continued correction. Download source code (R) and data.